The big news is that the Monkey Baa Theatre Company have a new season of their play adaptation of the Emily Eyefinger books. It's at their new theatre at Darling Harbour right now and through Saturday the 14th. the play was performed in Sydney, around NSW and in Melbourne last year and will go to 22 locations all around Australia next year. Anyway, for the moment it's just in Sydney. The Monkey Baa Theatre Company is now in residence at the Lend Lease Darling Quarter Theatre at Darling Harbour. Until they get their new sign it's a little tricky to find. It's in amongst a row of restaurants with the entrance (for all you chocoholics) next to Guylian Belgian Chocolate Cafe. And a couple of shops down (for anyone with kids) from McDonalds. 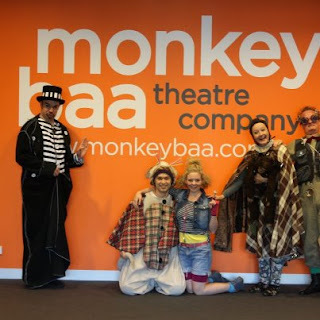 It's a wonderful theatre and Monkey Baa has a full schedule of plays for children of all ages. I will be in the foyer next Thursday and Friday (July 12th & 13th) at 1pm. I don't think there will be a bookseller there but if you're bringing kids and they have any Emily Eyefinger or Selby or any of my other books at home, have them bring them along and I'll be happy to sign them. Since my last blog post I've been out and about in schools and libraries once again. One of the highlights was to be a judge of the annual Bill Coppell Young Writers' Awards at the Stanton Library in North Sydney. I've done this for a number of years and this year, once again, I judged the poems and stories in the 11 & 12 year old age category. As always, choosing an overall winner, a runner-up and a number to be given merit certificates was difficult. And as usual, the standard was very high. Click here and you can read the winning entries for all the categories. If I'd entered this competition as a kid, I'm sure I wouldn't have won anything and probably wouldn't have wandered blindly into a writing career. Another of my usual gigs is to help Books in Homes give books to kids who often don't have books of their own. Books in Homes is a charity that started in New Zealand and is now in Australia as well. Publishers donate books which are then given to needy schools. 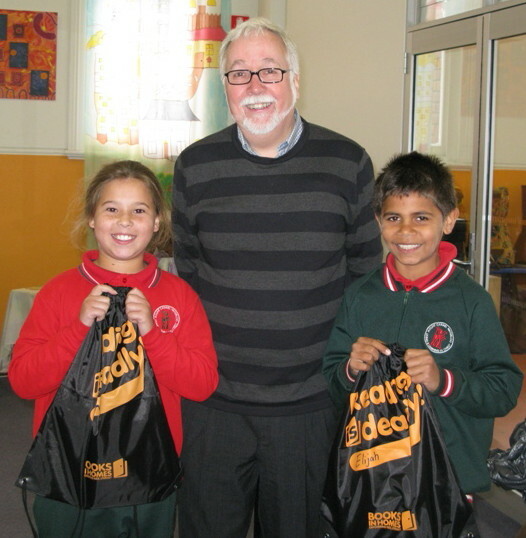 Every child in the school gets a bag of books. A number of authors, illustrators and proper celebrities assist at the distribution ceremonies. 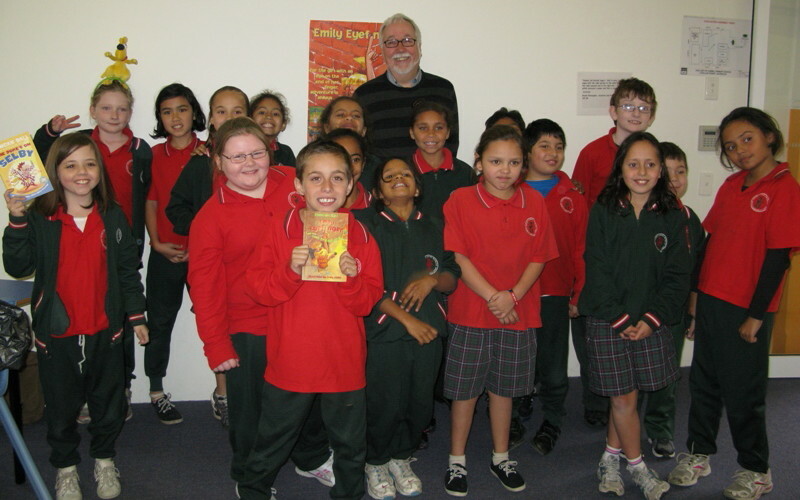 Last month I was at Our Lady of Mount Carmel Primary School in Waterloo in Sydney telling the kids a story and terrifying them with Amy, my fearsome Amazon Twitching Spider. That spider can't be real! A couple of kids with their books booty. It was a great day and I couldn't have asked for a keener or more creatively-spirited group of kids. 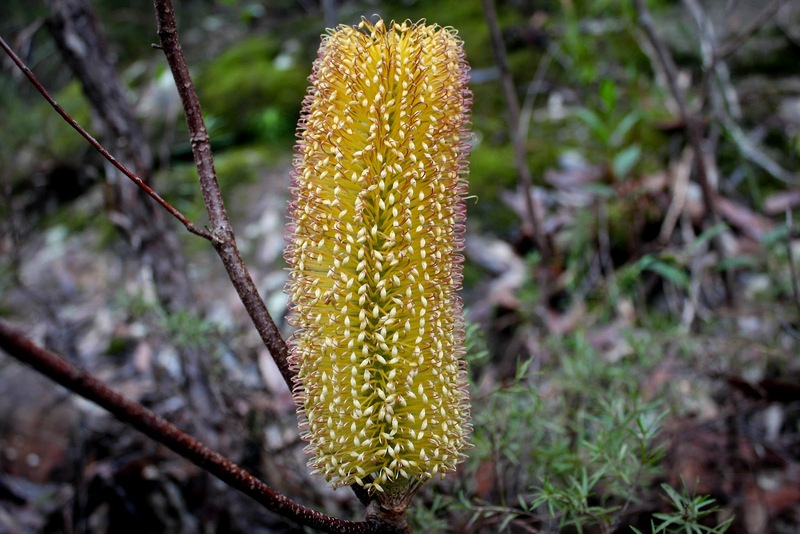 I'll spare you the account of a couple of June bushwalks but I can't resist including a photo of a banksia flower on one of them to end this blog post.